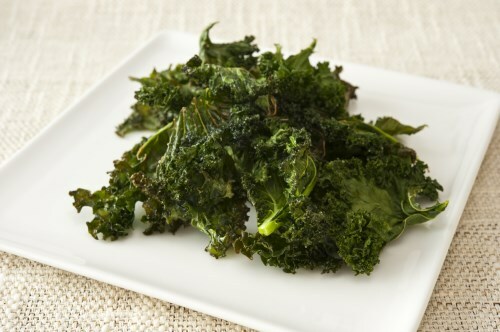 Place the kale into a large mixing bowl, and drizzle with melted extra virgin coconut oil. Toss until evenly coated, then sprinkle with the chili powder and kosher salt, and toss again. Spread the seasoned kale onto a baking sheet. Roast in the preheated oven for 5 minutes, then stir the kale, and continue roasting until the edges become brown and a little crispy, 5 to 8 minutes. Serve immediately.